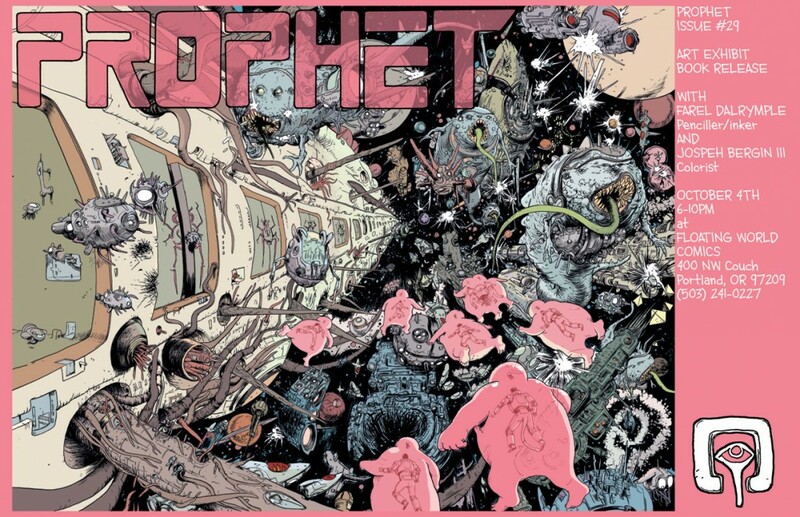 Prophet #29 in stores wednesday the 26th of sept.
it feels good to write that. ok so this is happening. i am having a first thursday show at floating world for the issue of prophet i did, issue #29. i believe it will be in stores this wednesday, the 26th. please go to your local shop and get into it. here’s the image solicitation for it. now i know it says giannis is drawing it but that is messed up most likely because i was so dang late with turning the art in. i think the issue i was originally solicited for was #25. yikes. Giannis Milonogiannis and Simon roy have done a hell of a job with the other issues and Brandon of course is the sublime genius behind the whole operation. The cover is by Fil Barlow of zooniverse fame. I have been super impressed by joseph bergin III colors on the series as well. I love the creative and unusual directions color-wise this particular issue went in too. Joseph is going to be at the show signing books too. Please come and say to hi to him as well. we will both sign your copies of prophet or anything else. The first prophet trade is out as well. Jason should have copies of all that stuff. this issue of prophet kind of took a part of my soul. i spent about 5 months pencilling and inking the one 21 page issue. brutal. yes, i am slow. in the excuses department i have to say i was working on the wrenchies at the same time. and i moved again for the fourth time in 3 years a couple months back, probably around the time i did the last post. i love my new place though and hope i can stay for a while. It is the perfect place to finish up the wrenchies at. done by the end of the year? we’ll see. There will be all the art from prophet #29 at floating world as well. I would love it if people came to look the pages and check out all the work i put into them. it is weird to think i spent almost i spent half the year working on them. man, i would really love if this book sold through the roof and a lot of people come check out the original art work at floating world. Don’t worry, i am not going to hurt myself if you don’t come. I rarely leave the house these days so i wouldn’t blame anyone for missing it but at least please check out issue #29 of prophet. it should be at your local comic shop next wednesday. i am gonna post some new wrenhcies pages soon. and i don’t know if i posted this one on here but vice printed a third comic of mine a few weeks back. 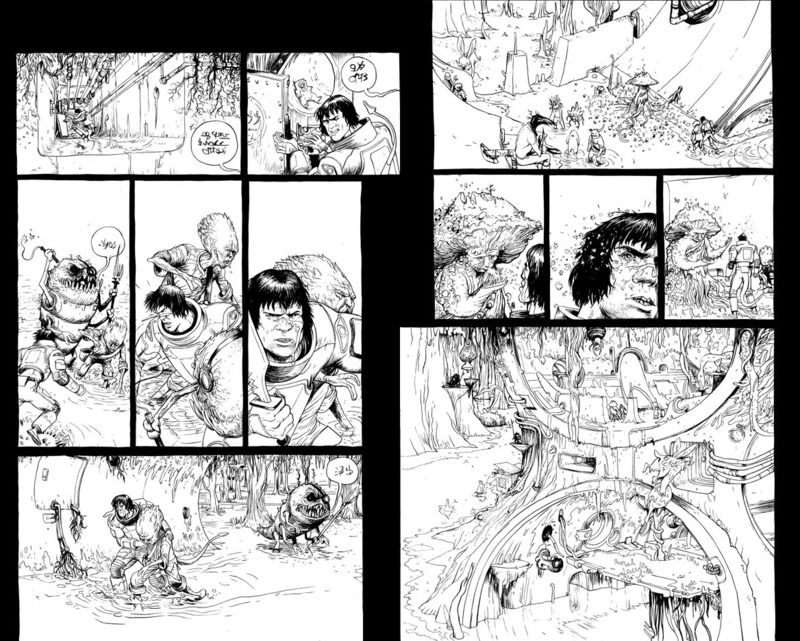 here are two more uncolored unlettered prophet pages to give you an idea of what will be in the show. and one more page with joseph’s pretty colors just for the fun of it. Hi Farel, are you selling the original art of prophet #29? I’m interested with the page2-3 spread? 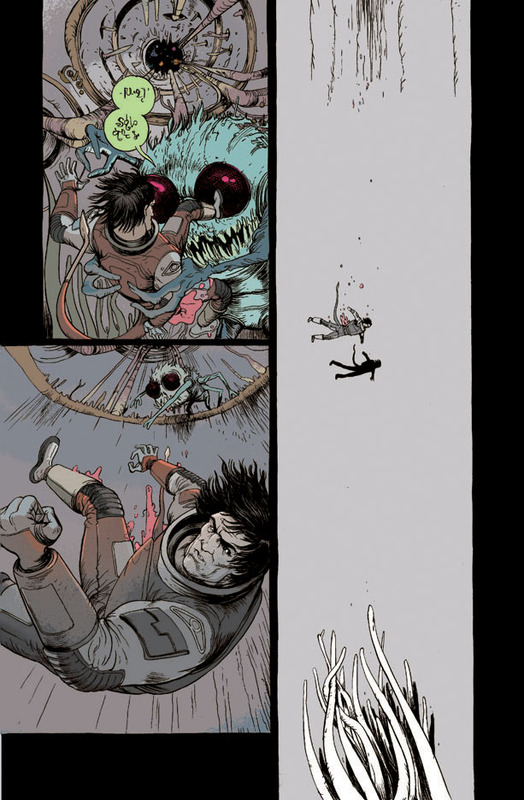 wich has the art from my first issue of prophet. it is not up on their site yet but should be soon. thanks much. if you need to see a particular page in it’s original un-produced un-lettered state too, please do let me know and i can send you a picture. Thanks for the reply Farel. I sent you a follow-up email to your gmail account. Can I order the exhibition poster somewhere? if that doesn’t work for whatever reason i could pick one up and mail it to you. thanks.